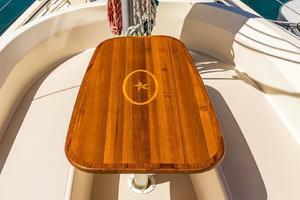 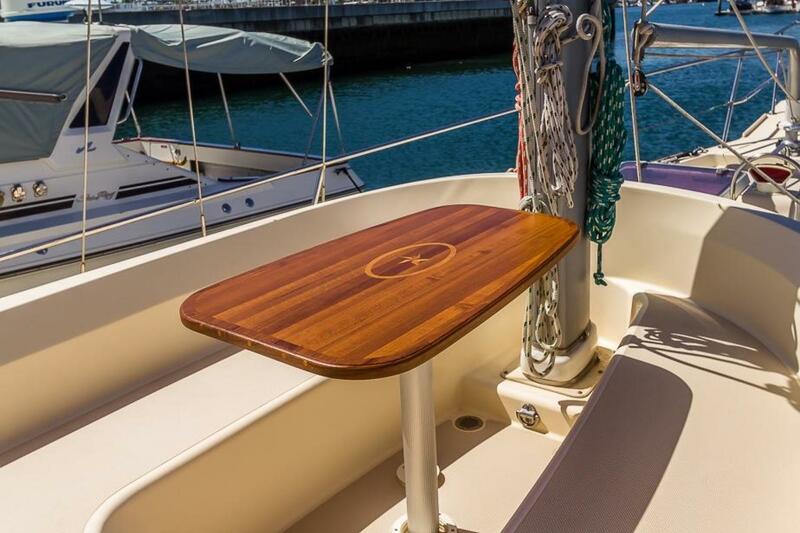 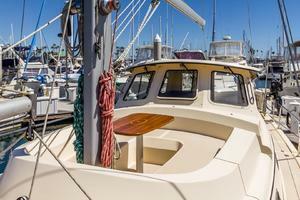 Beautiful Example of Island Packet Craftsmanship! 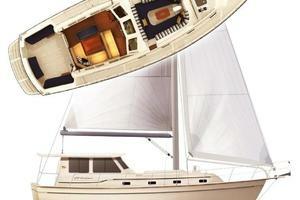 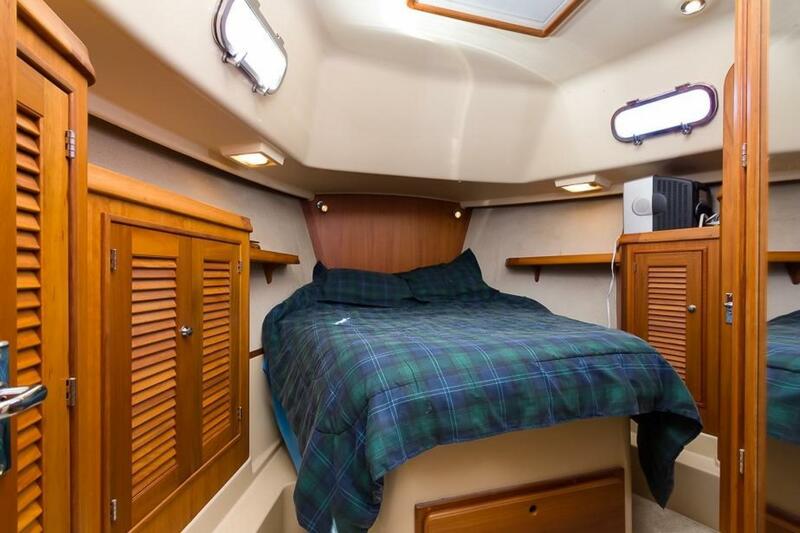 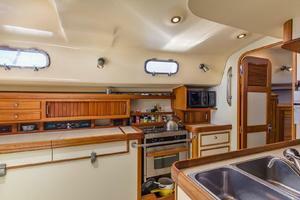 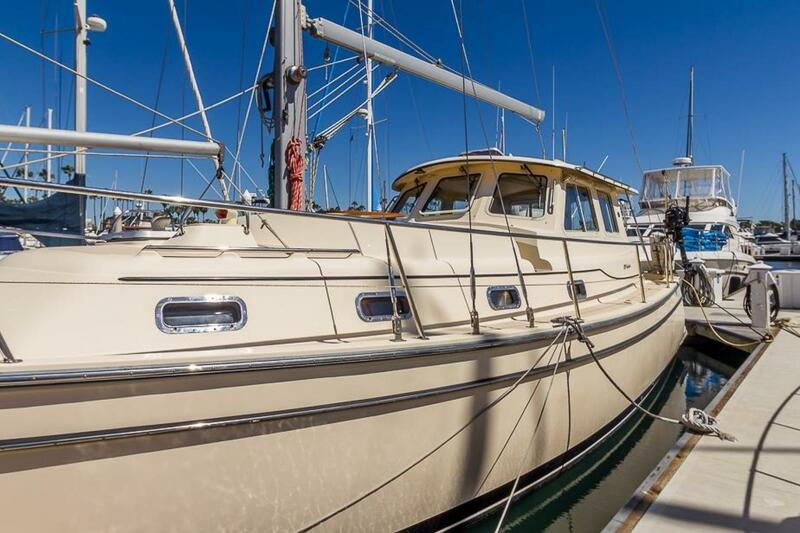 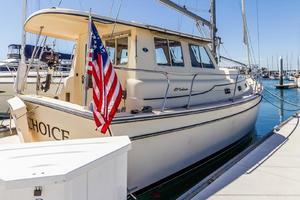 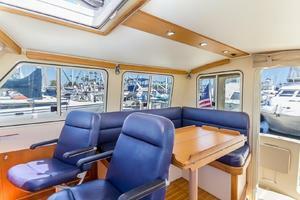 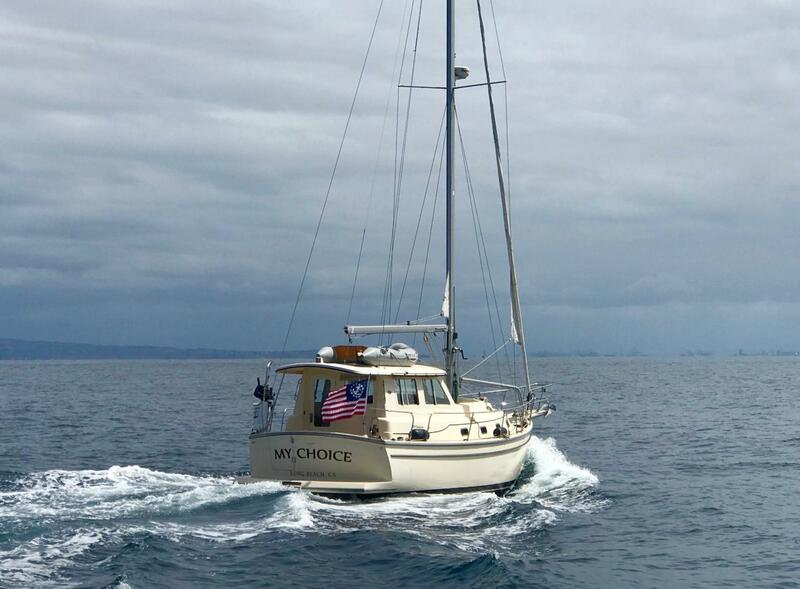 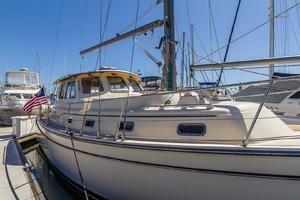 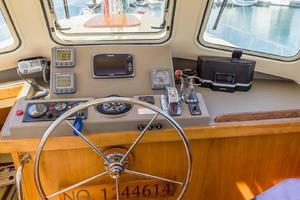 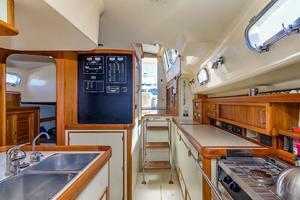 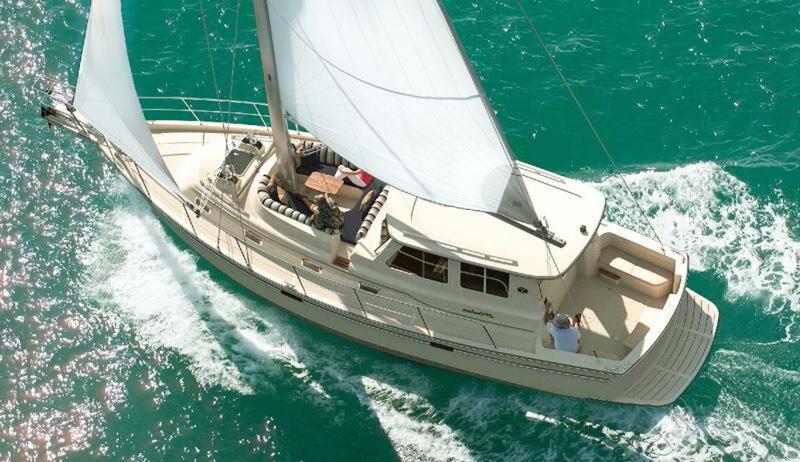 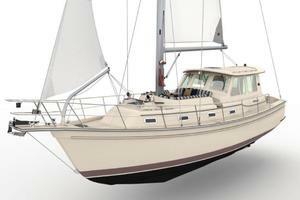 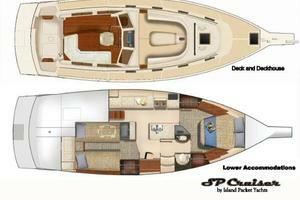 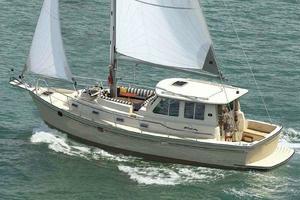 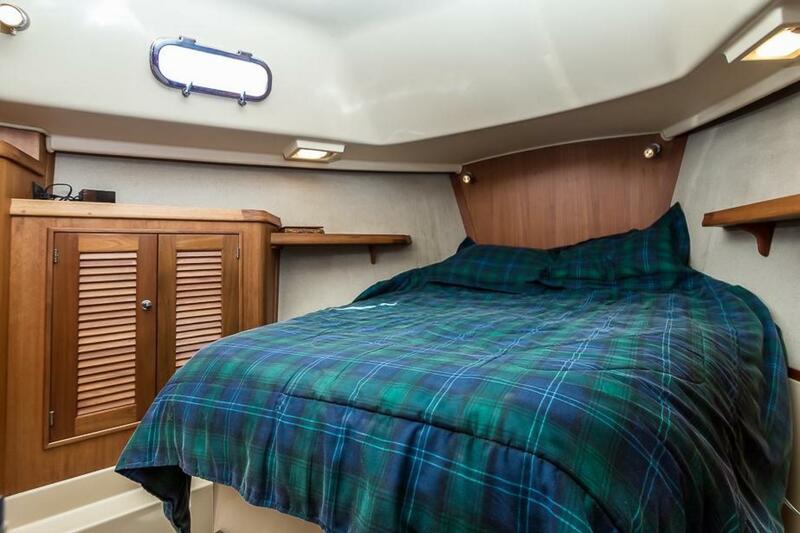 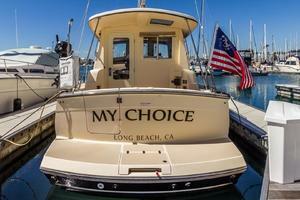 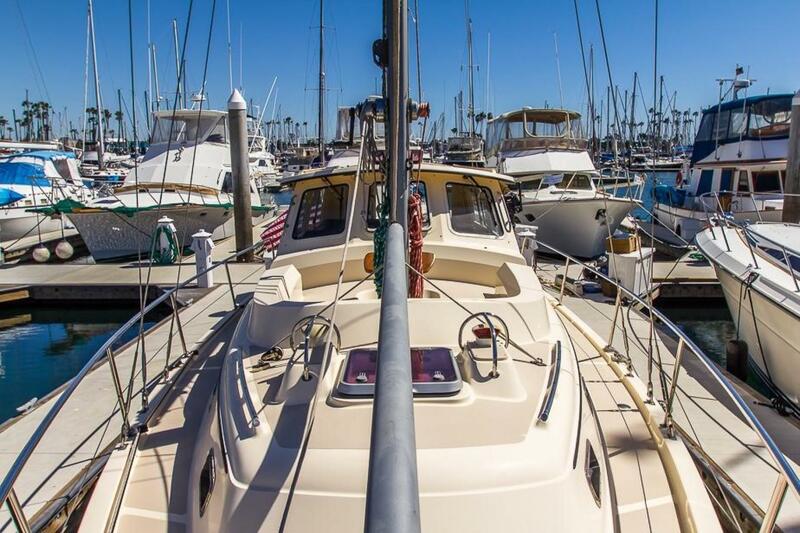 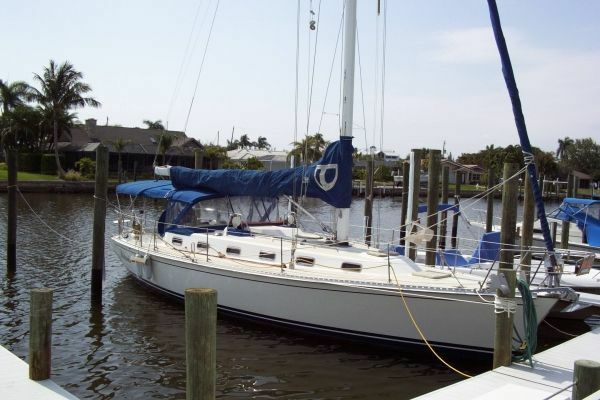 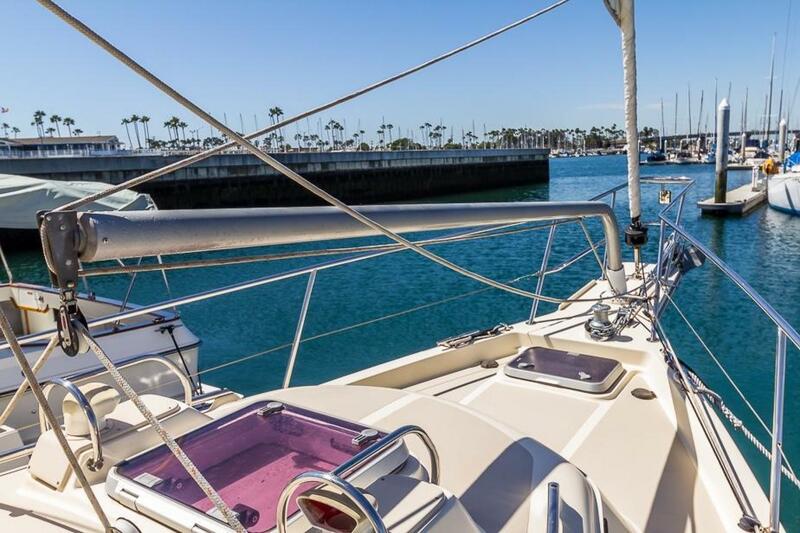 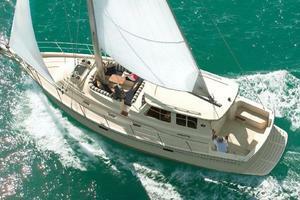 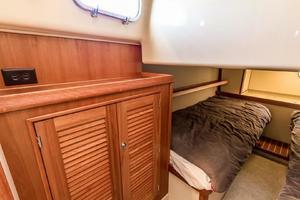 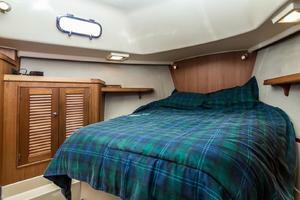 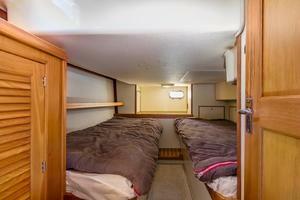 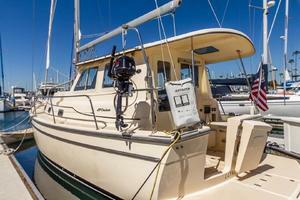 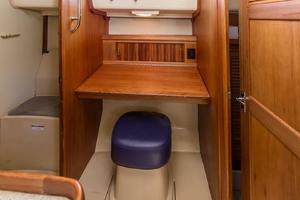 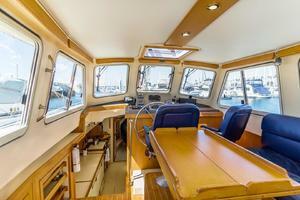 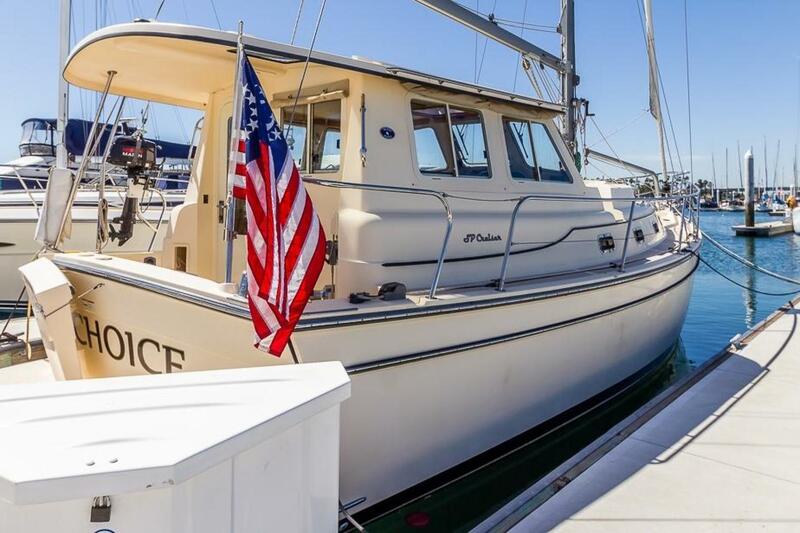 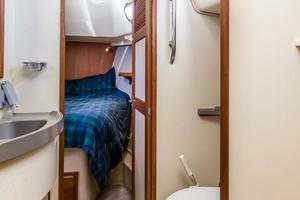 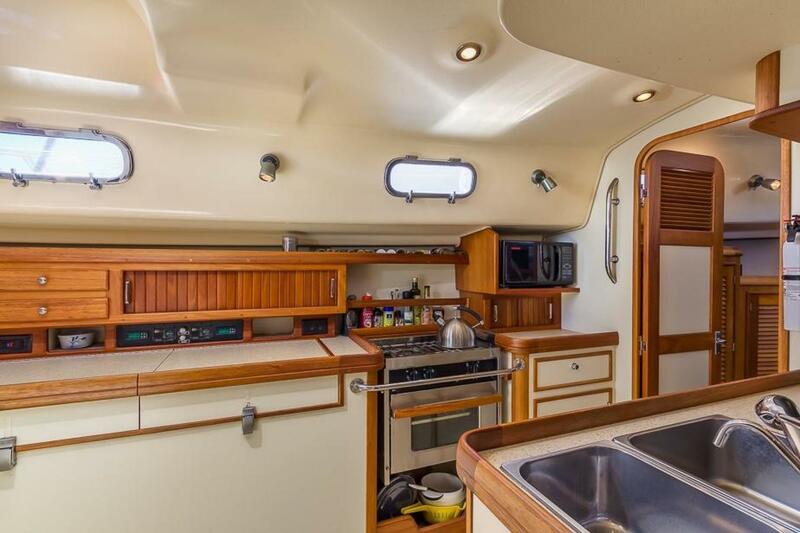 This motorsailer island packet is the perfect yacht for both coastal cruising. The raised pilothouse makes it easy to operate the vessel while keeping warm and dry in cold conditions. 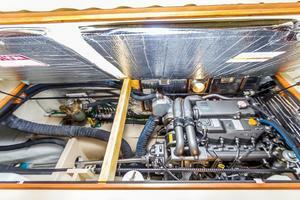 The large Yanmar Diesel engine is great for when the wind is light. All of the sail controls are done with the push of a button in the cockpit, so there no more running around the foredeck. 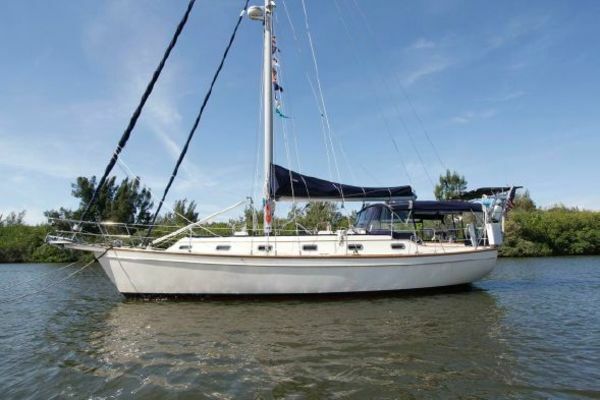 The present owner is moving out of the state and needs to sell her. 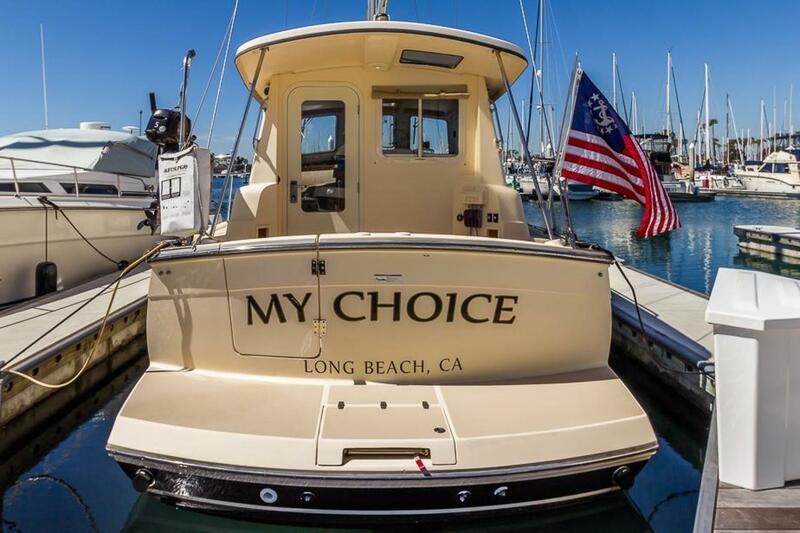 All offers will be considered. 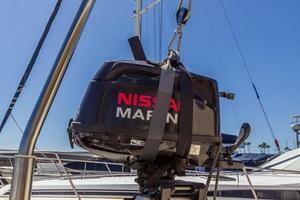 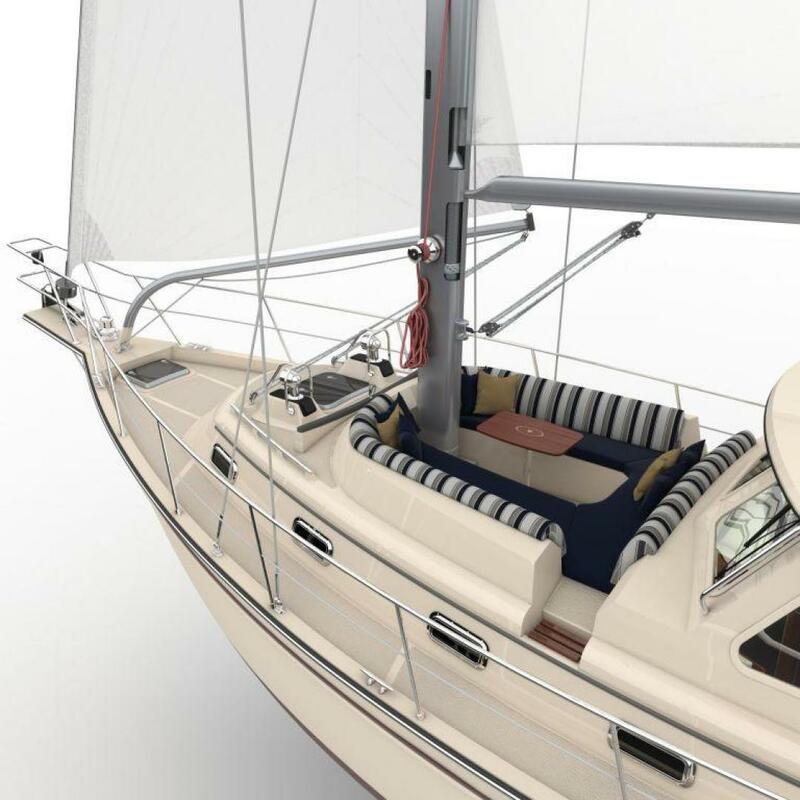 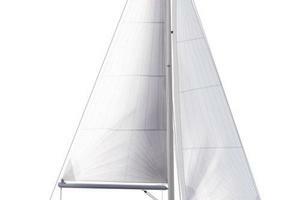 "Given both an aging demographic looking for ways to extend the free life afloat and a brand following is known to favor solid construction and comfort over high performance, IP has made a bold, yet almost inevitable, move into the motor-sailing market. 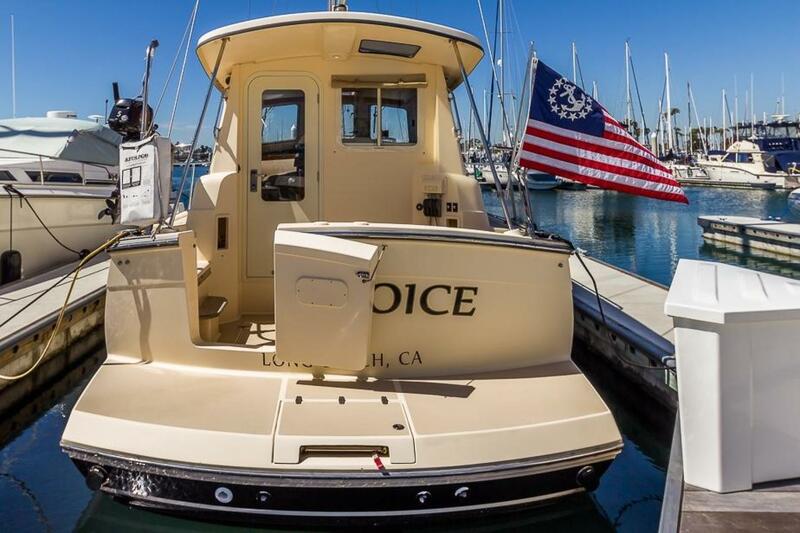 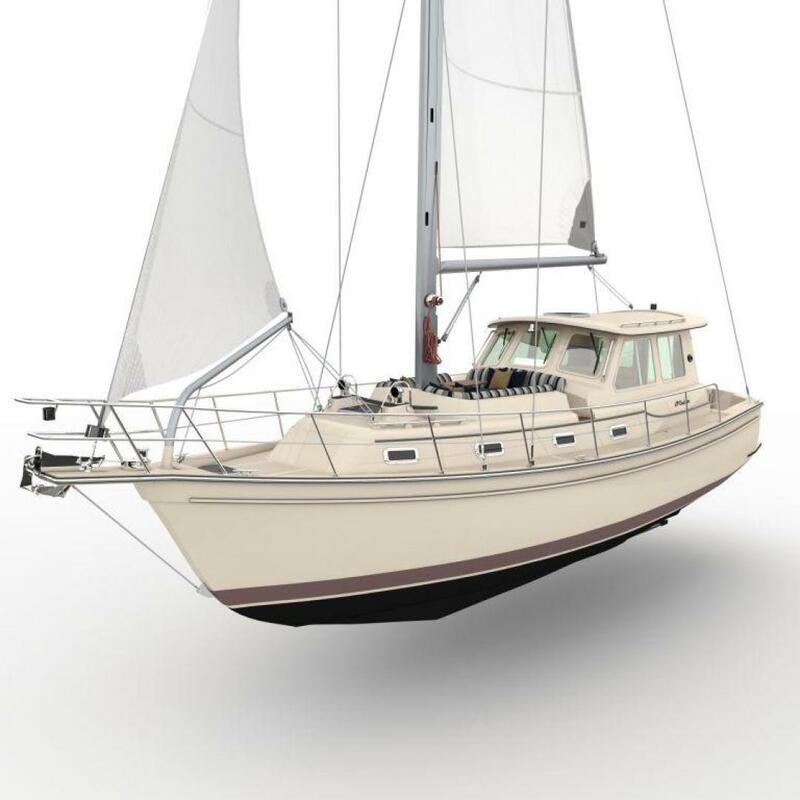 It's done so honestly and well with the SP Cruiser, for it does exactly what the company says it will do: provide "year-round boating comfort, trawler-like livability, motoring performance, and simple and versatile sailing." With an SA/D of 14.8 and a D/L of 223, the sailing will depend on ample wind from a favorable direction. 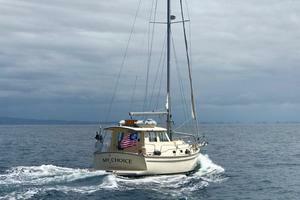 The boat sailed an honest 6.3 knots with a beam wind of 16 knots. 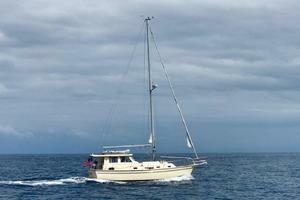 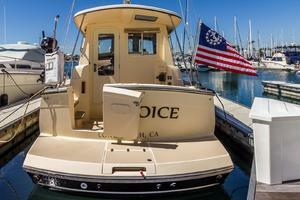 It stood well to its limited canvas, which adds distance and security to its motoring range of 1,000 nautical miles. 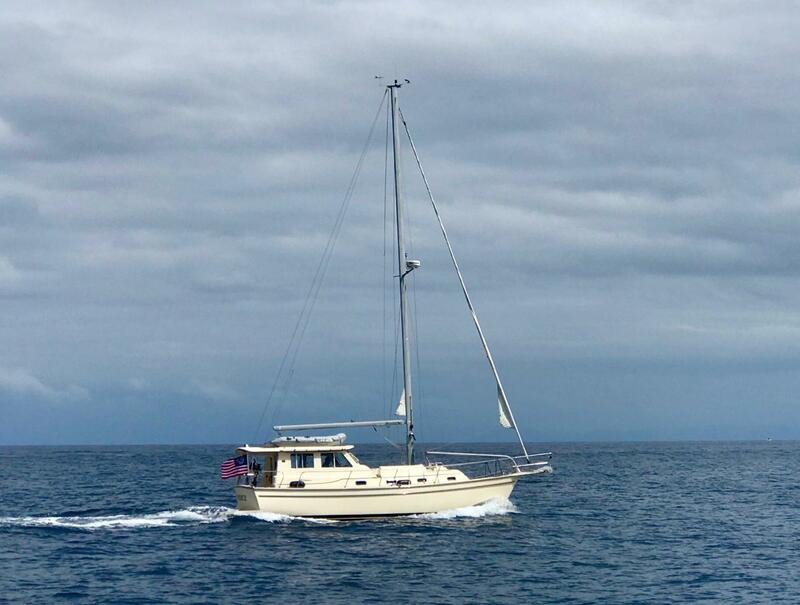 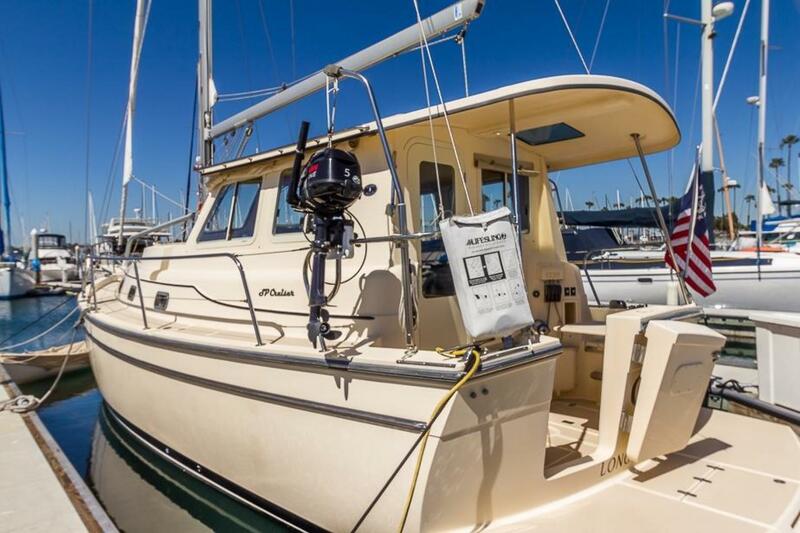 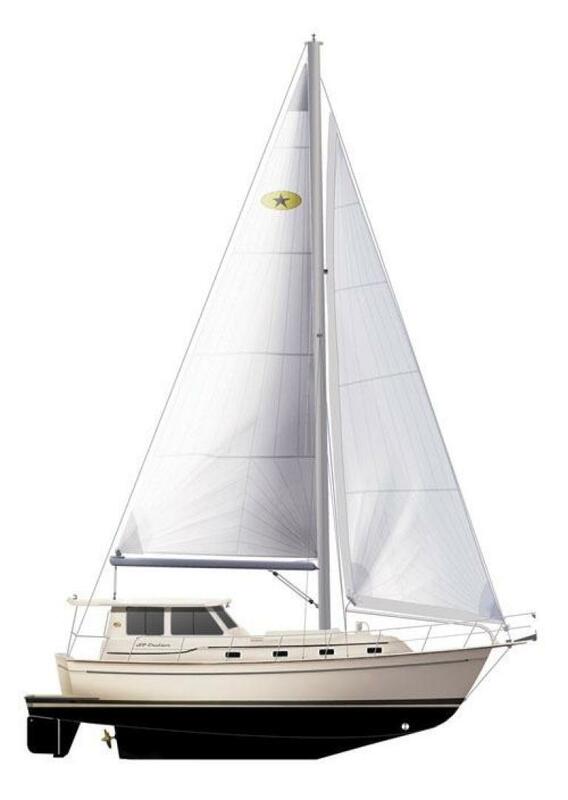 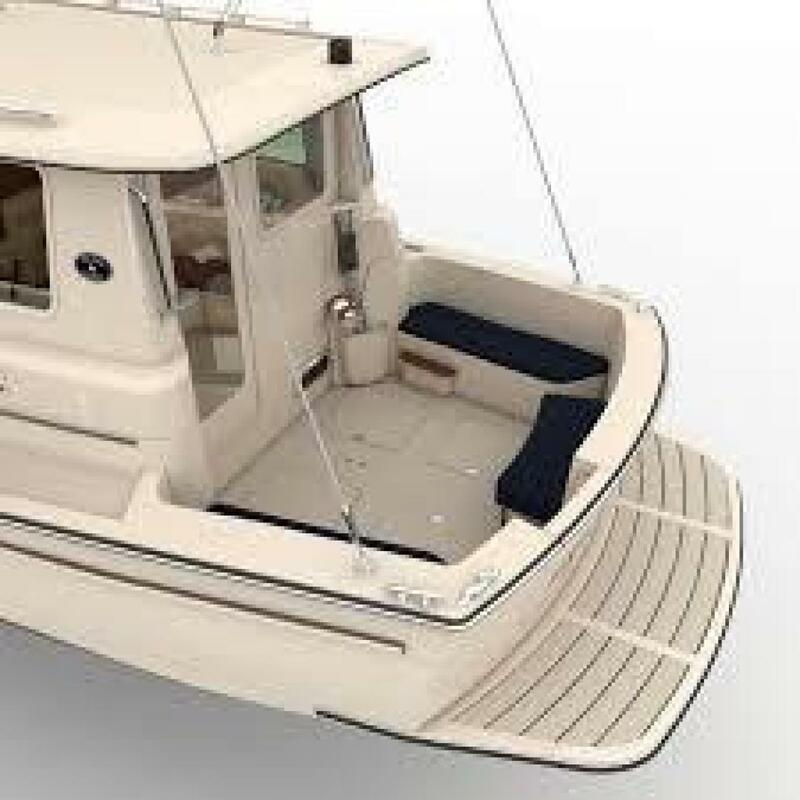 For light-air or close-hauled work, the 100-horsepower Yanmar takes charge, controlled from a comfortable, out-of-the-weather pilothouse helm that has excellent visibility.The sail controls, located aft of the cabin house, are too far from the wheel for safe sailing. 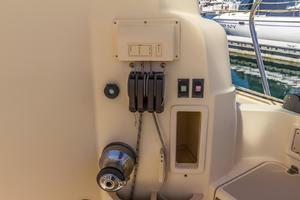 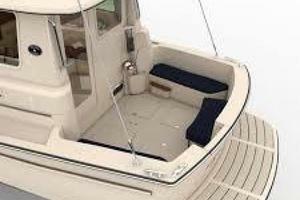 Apparently aware of this, IP designers are presently working on an electric drum winch that will allow push-button sail control from the helm station. 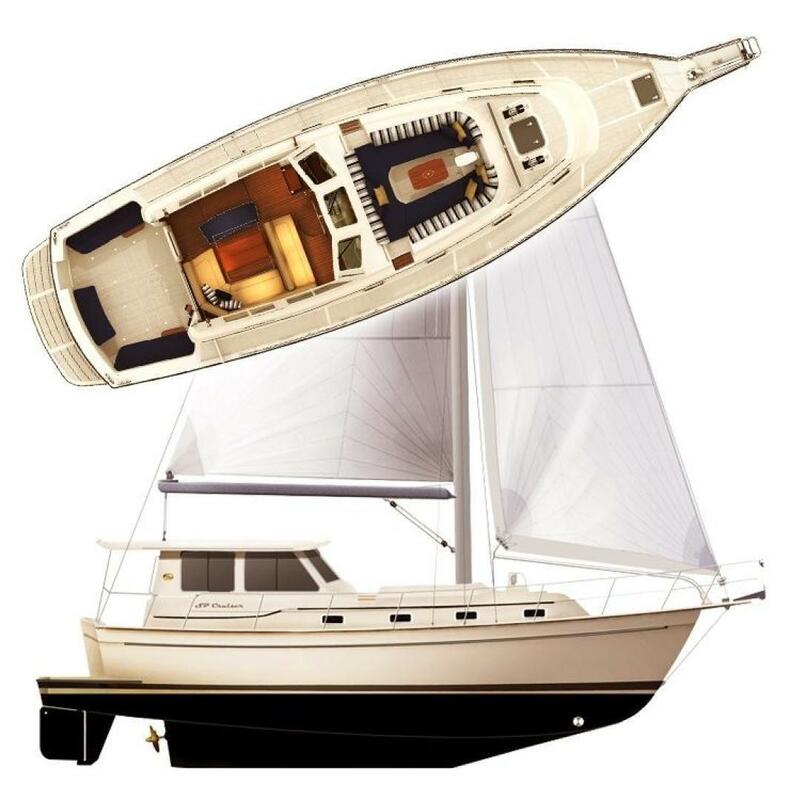 Although not pitched as a blue-water passage-maker, the SP Cruiser has a reassuring stability index of 39 and a capsize righting moment of 155 degrees. 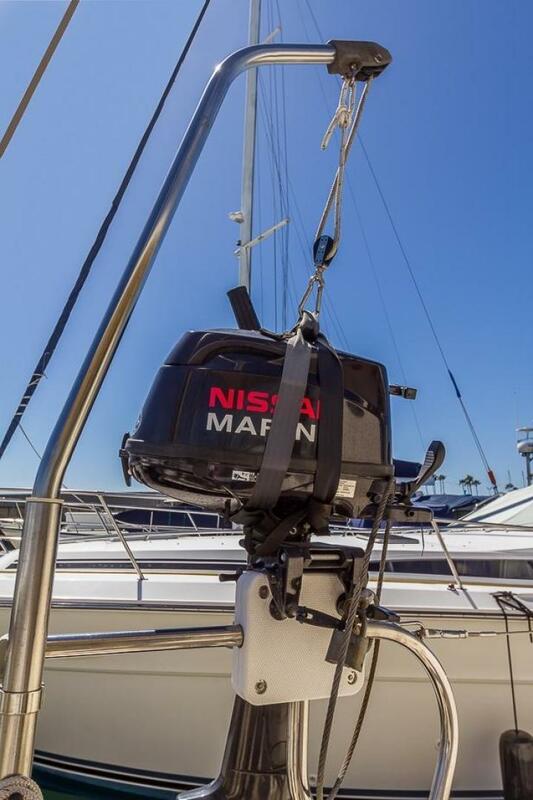 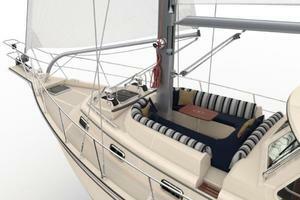 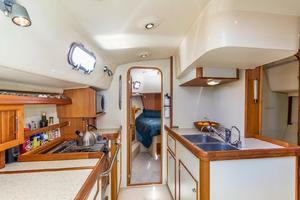 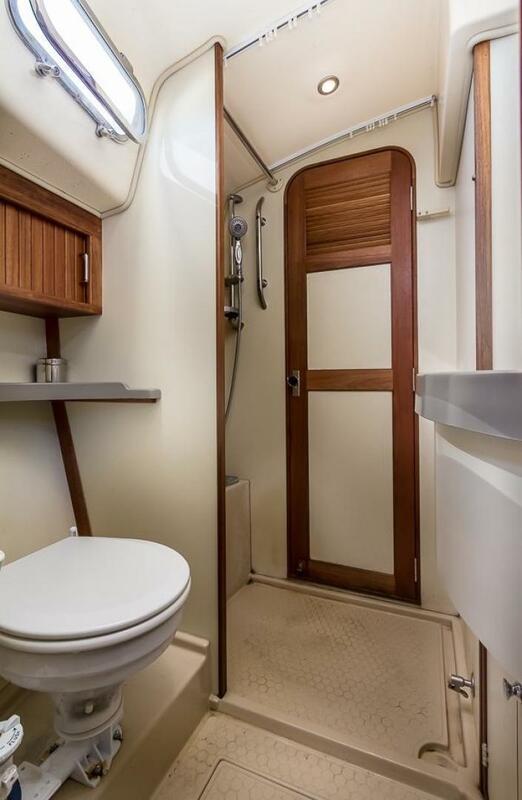 The most innovative feature is the forward cockpit, which is designed purely for lounging, away from all sail and motor controls. 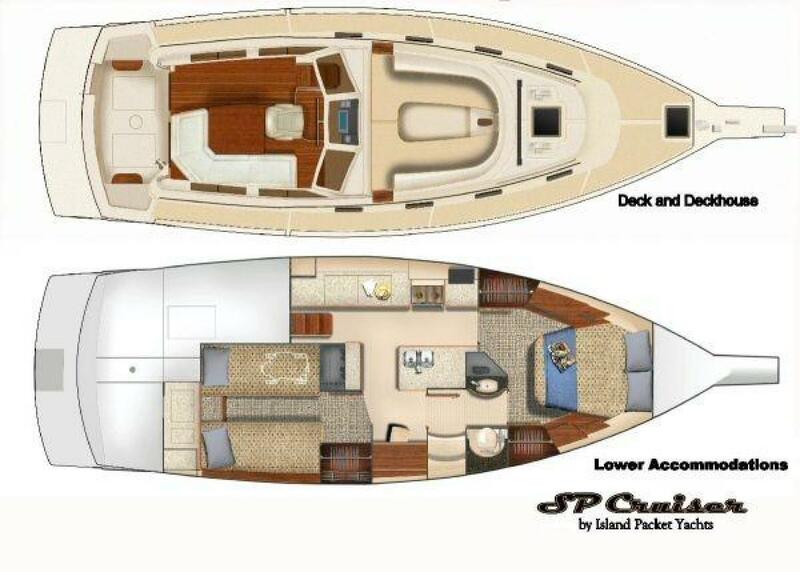 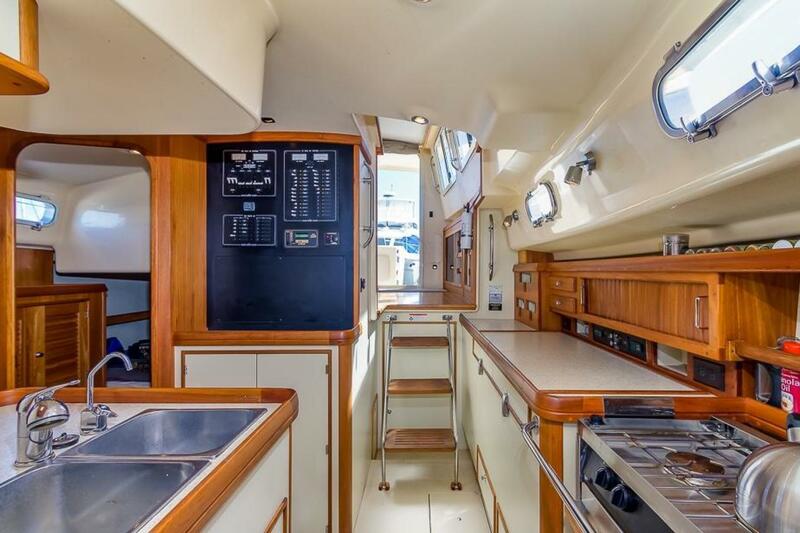 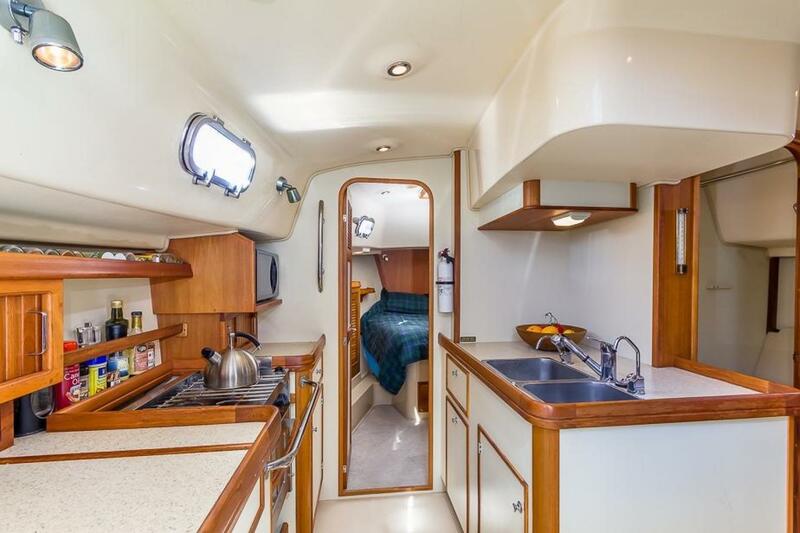 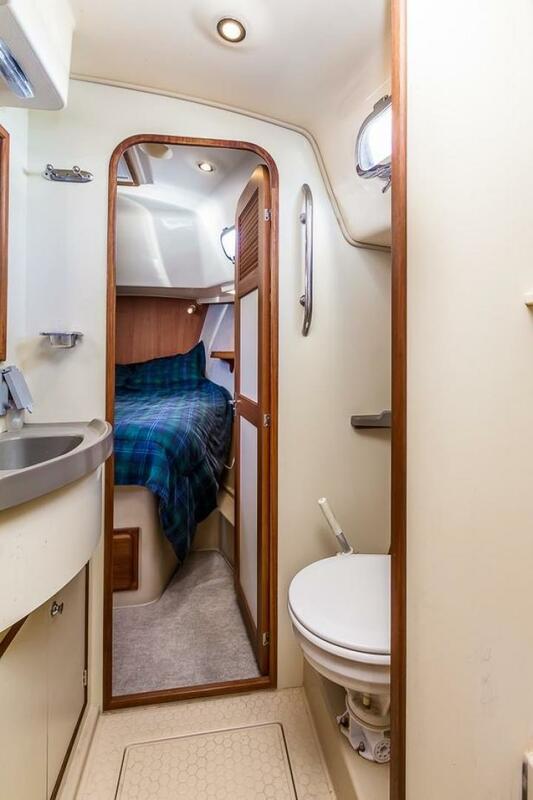 With the addition of handholds and rails, the aft platform will extend the loading, relaxing, and working space considerably.The interior, which includes the raised-deck helm and dining area, is spacious and sensible. 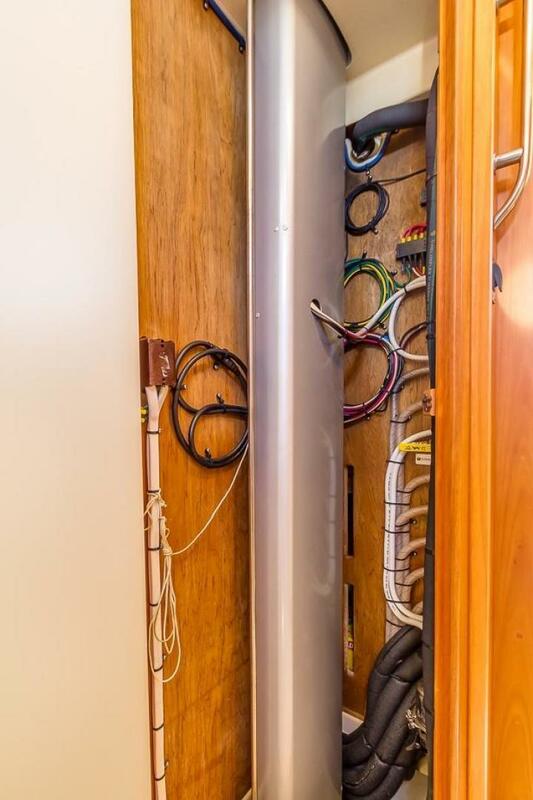 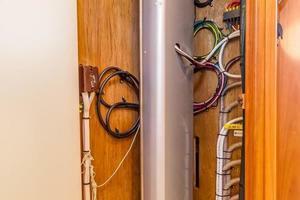 Systems are of typical IP high standards and coupled with the company's 3/10/10 warranty, one may expect manageable maintenance and sound customer service."